We were really excited to go to the ball this year! 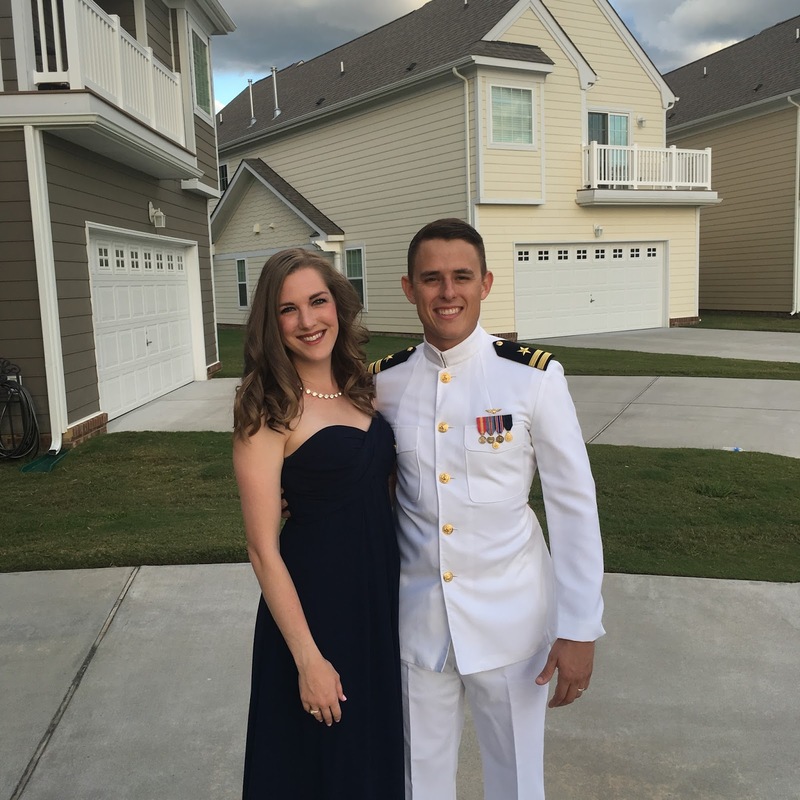 We missed last year because Parker was deployed, so it had been 2 years since we had gotten dressed to the nines and ready to dance. Parker's parents were in town to watch our little man which was so appreciated! It was nice to be able to take a night off knowing he was safe and in good hands. 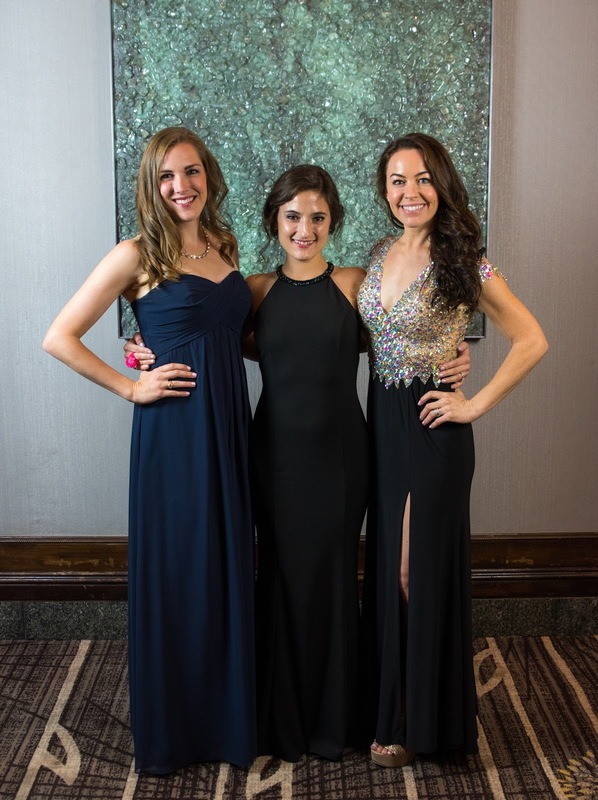 The ball we have attended the past few years has been the Hawkeye Greyhound Ball. It's a ball for E-2 and C-2 pilots which I love because we know so many people. It's always fun to go to parties with your friends! The ball always consists of a dinner with a speaker and then a themed after party. We all typically hope the speaker is short-winded, if we are being completely honest. This year it was all great, and we were excited for the after party. This year, the theme for the after party was "holidays", and each squadron picked a holiday to dress up as. Our squadron voted for Oktoberfest. I am the first to admit I was bummed the theme wasn't Cinco de Mayo (because how easy is it to throw on a sombrero and a fake mustache and call it good?? ), but Oktoberfest actually turned out to be a really fun theme. Thank you Amazon for having Liederhosen for sale at a reasonable price! Ball number ten is in the books, but it sure was a good one! Just for fun, here's a picture from each ball we've been to together over the years. 1. When Parker picked me up for our first ball in 2007, I was wearing a pink dress. He had to go to the bathroom or something, and I decided I didn't like that dress anymore and instead borrowed the blue one in the picture from my sister. What was wrong with the pink one? Who knows. 2. I've repeated dresses a couple of times (hello, 10 different balls! ), but apparently I love the little black number because I wore it in 2009, 2010, and 2013. 3. I was about 14 weeks pregnant with Taylor Grace at the 2014 ball. 5. 2011 is the only ball where Parker didn't wear a uniform. 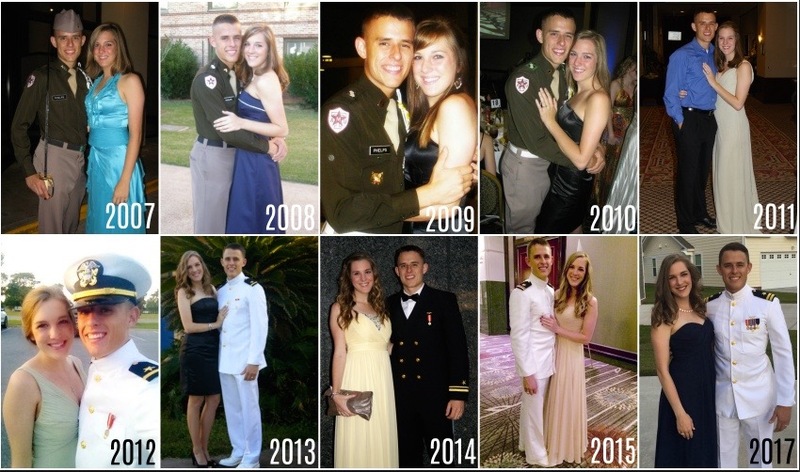 He was out of the Corps of Cadets but 2 months away from commissioning, so he couldn't wear a military uniform yet. A suit it was! Love it! We missed the 2015 ball when Andy PCS from Polk to Knox (Knox had theirs in the summer while the Polk one is in the fall.) They didn't have a 2016 ball at Knox because 2 companies were on deployment. 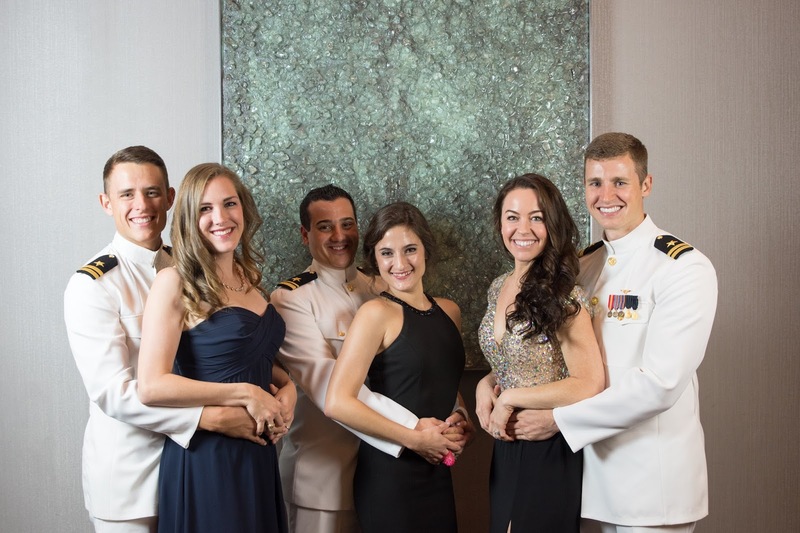 We had a 2017 ball in March and *finally* had the chance to go, but we learned about it with one week's notice and I was still pretty salty about surprise Recruiting orders so we skipped it. Recruiting very rarely has balls because soldiers are as far as 12 hours away from their battalion, so I doubt they'll have any in the next 3-4 years while we're here. Andy very well could leave the Army without us ever going to a ball together! Seeing all of your pictures next to each other makes my heart so happy! So sweet to see your love through the years. I love your photos over the years. It's so fun looking back and remembering all those moments together. I always love your write ups about the balls! I wish I had something to dress up for! Also, love seeing your pictures from through the years. 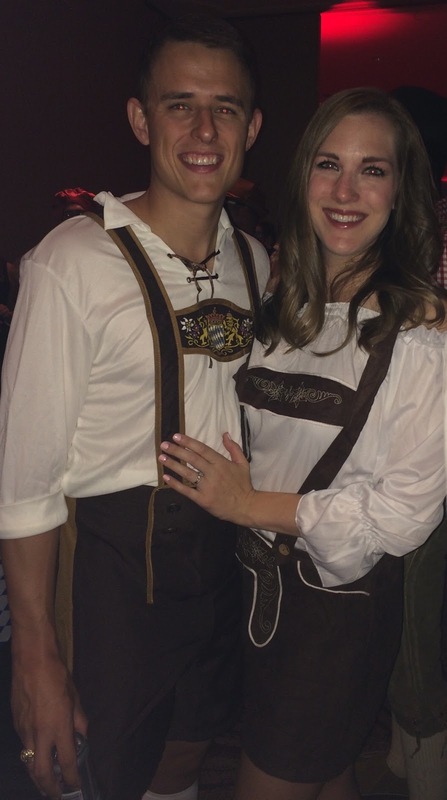 You and parker look great in lederhosen! Who knew?! I love that y'all do parties after the ball. Everyone at Army balls peaces out as soon as possible. Mac and I went to our first formal event (a dining out) when we'd been dating like two weeks. I feel ya on the awkward, haha. 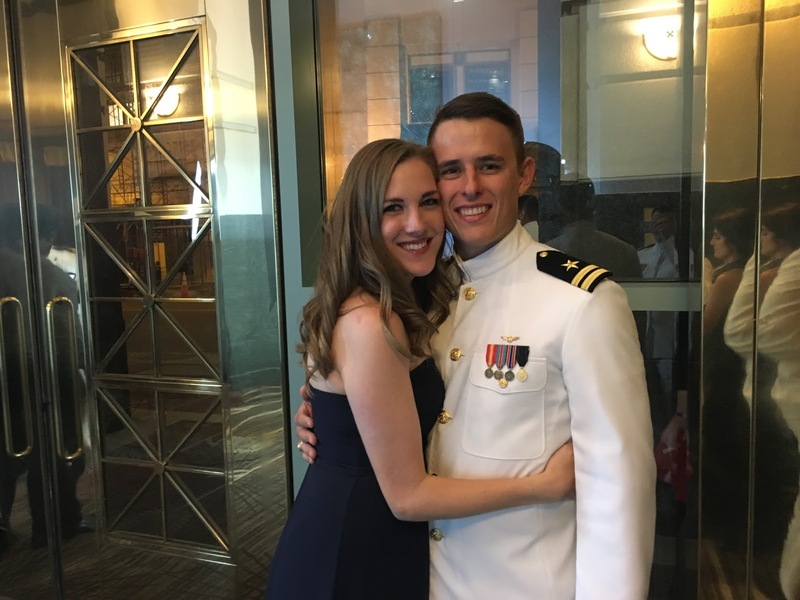 I stumbled across your blog while surfing google and just wanted to say hello to a fellow Aggie and Navy family. My husband was in the Corps, class of 1997. I couldn't believe you'd already been to so many balls, we didn't make it to our first ball together until two years ago. We could no longer avoid the mandatory fun. Don't get me wrong, I love a good squadron party but I hate getting dressed up so formally. Love your blog, great work! We recently had our wedding at this place, and we couldn't have been happier. We had a particular vision for our wedding, and we were given just that. These wedding venues Los Angeles have unique space, with an incredible view. Highly recommended!